Fortnite's new season includes all sorts of spooky fun for players young and old. 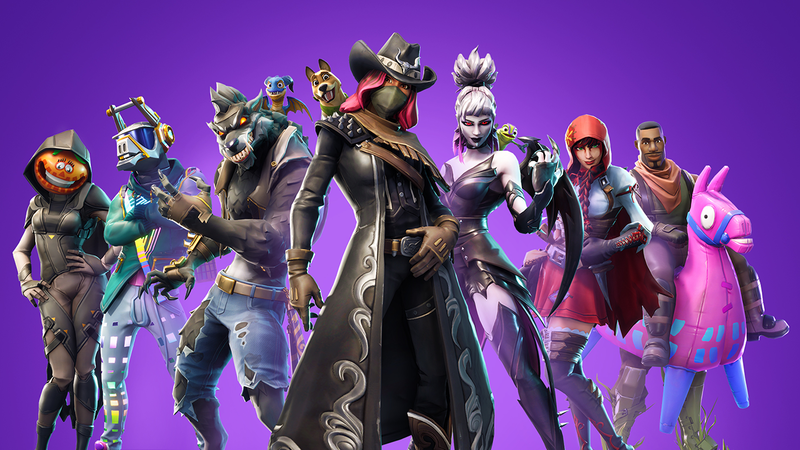 Is it just us, or does it seem like Fortnite Season 5 just launched? Now, we’re already onto Season 6, which comes jam-packed with an assortment of dark and eerie updates that should make the game great fun this Halloween season. Here’s everything you need to know about the latest season in this super popular battle royale game. Season 6 may not officially be called a Halloween update, but it has a lot of spooky elements just the same. The map in Fortnite: Battle Royale (the game’s free-to-play mode) has been updated with a haunted castle, corn fields, a floating island, and special “corrupted areas” where players can find new consumable items called Shadow Stones. The general gameplay in Fortnite: Battle Royale is all about being the last player standing, and the new Shadow Stone should help players as they work toward that goal. Once players use a Shadow Stone, they’ll go into a new “Shadow Form,” which causes their character to become invisible to enemies while they’re standing still. If players decide to move around while in Shadow Form, they’ll leave a shadow trail behind them as they move, which will help opponents spot them. Players in Shadow Form will move faster, jump higher, and won’t take damage when they fall from large heights. To keep things fair, players can’t use weapons while they’re in Shadow Form. The Shadow Form effects will last for 45 seconds, but players can turn the effect off early if they want. A new -- and completely optional -- Battle Pass is available to purchase…and it includes pets! Each new season brings with it a new Battle Pass that players can purchase in Fortnite: Battle Royale. The Season 6 Battle Pass costs 950 V-Bucks (around $10). It includes 100 levels of challenges for players to complete in exchange for over 100 new rewards, such as outfits and other cosmetic goodies for the game’s playable characters. When players purchase this season’s Battle Pass, they’ll instantly receive two outfits: Calamity and DJ Yonder. This season’s rewards also include new pets that will ride around in the player’s backpack during future matches. As players make their way through the Battle Pass levels, they’ll unlock multiple pets -- Bonesy, Scales, and Camo. Pets won’t do anything to help players during matches, but they will react to different things that happen. Remember, parents, while the Battle Pass contains lots of goodies players will want to unlock, purchasing the Battle Pass is not a requirement. Before opening your wallet, consider asking your kids to do some extra chores, or complete other real-world tasks to earn the V-Bucks they’ll need. The Cram Session event allows users to complete up to 10 mini-boss mission alerts per day to earn in-game prizes. Players can also tackle four new quest lines, each with ten stages to complete. Each quest line rewards players with a major reward the first time they complete it. Save the World can currently be purchased for $39.99, but Fortnite’s developer, Epic, has said the mode will eventually be released for free.